Dan is a product person focused on building tools that make software companies more productive. Currently, he is a Co-Founder at mabl, a company that is making software testing simply using machine learning. Dan was formerly the Product Lead for Stackdriver within Google Cloud. Dan joined Google via its acquisition of Stackdriver, a company that he also co-founded, in 2012. 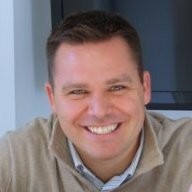 Prior to Stackdriver, Dan served in various roles at Sonian (acquired by Barracuda), VMware, and Microsoft. Your Career the "Era of Intelligent QA"
This is an exciting time for QA. We are becoming agiler to match the accelerating pace of development. Innovations in artificial intelligence and elsewhere promise to make our teams more effective. We are making significant investments in automation as our teams move toward continuous delivery. Taken together, these shifts represent a significant step forward for our profession and the software industry at large, but they will also fundamentally change the nature of QA and the roles that we play within our teams. In this session, we’ll highlight how QA roles and skill sets are likely to evolve in the coming years and how you can prepare for a successful career in the coming Era of Intelligent QA. Add to Calendar05/30/2018 11:00 AM05/30/2018 11:50 AMYour Career the "Era of Intelligent QA"